When talking to young people about writing, I try to get them to think about their audience. To whom is their primary responsibility? To themselves? Their readers? The publication they're writing for? The subjects they're writing about? How do they balance these often competing interests? I maintain that the order is 1) readers; 2) yourself; 3) publication and, 4) subject. If you put yourself first, riffing on whatever your private fascination happens to be with little regard for its effect on those reading, that's a recipe for boredom. If you put the publication first you're a hack (I believe good writing IS putting your publication first, though your boss might not realize it at the moment). And if you write for your subject, you're a whore, pleasing one person while the rest can go hang. Thus you have to expect to take heat from one of the parties lower down the pecking order, particularly subjects, who chronically feel ill-used, no matter how delicately treated. When I wrote a piece about an opera soprano last week, I thought I had hit a sweet spot where all involved would be pleased. I hadn't. The Lyric complained, quite forcefully, and I had to remind them that I didn't write it for them. I am writing for readers who, truth be told, care little for the opera, less for Wagner, and have to be led to the subject via something they do care about, like fitness. There was no deceit—I explained to the singer exactly what I had in mind. But she obviously didn't quite believe me until she saw it in print, which was a shame. Regular reader Tom Evans mentioned the column below as an instance where those written about felt ill-used, though he wasn't sure why. I'm reprinting it so you can try to find what the problem is. I have a hunch. This group finds Sherlock Holmes and his world a font of fascination, while my column views them with a certain awe for feeling that way. I didn't share their passion, and that offended them. I didn't do it to slight them, but because a) I'm not a particular Holmes fan and b) I was writing for readers who, mostly, were not in thrall with Arthur Conan Doyle. That's the price you pay for being written about and for writing. As Marge Piercy's great poem about the writing profession, "For the young who want to," ends: "You have to like it better than being loved." He finishes—after a few more stanzas—with "To Irene Adler!" At which the dozen men assembled in a pine-paneled party room at Mirabell, a North Side German restaurant, hoist their glasses to the villainess and exclaim "Hear hear!" Then more toasts. Welcome to the March meeting of Hugo's Companions, a group devoted to that great detective Sherlock Holmes and his faithful sidekick, Dr. Watson. There are about 280 such groups nationwide, 25 or so in Illinois. "What we have here is one of the most vibrant Sherlockian communities in the country," said Donald J. Terras, past president of Hugo's. "No other city I know of in the world has as many Sherlockian groups as we do here in Chicago." The Sherlockians regard the Canon—their reverent term for the 56 short stories and four novels about Holmes and Watson written by Sir Arthur Conan Doyle—with deep affection. "We're all pretty much enamored with that time period—a simpler, less complicated time," explained Bill Sawisch, current president of Hugo's Companions. "Holmes and Watson represent what was good in the world at the time. 'It is always 1895' is something people say quite a bit in these groups." They are called "scion" groups since they descend from the original Sherlockian club, the Baker Street Irregulars, founded in 1934 in New York City by journalist Christopher Morley. The oldest Chicago group, The Hounds of the Baskerville (sic)— the "(sic)" is part of the name—was begun in 1943 by Chicago Tribune book columnist Vincent Starrett. Hugo's Companions formed in 1949. There are more. Why so many? Why don't Conan Doyle fans all form together into one society with a band of chapters speckling Chicago? "That's a very good question," said Sawisch, who is also president of the STUD Sherlockian Society ("STUD" being short for "A Study in Scarlet") and, rather than answering, launches into a protracted digression, an occupational hazard when talking to Sherlockians: "Everything started with the Hounds, Hugo's being the next group, then the Criterion Bar Association. That group started because of Hugo's Companions, with the wives meeting..."
The participation of women, while settled in modern society, is still an issue here where, remember, "It is always 1895." "In some ways it's still controversial," said Margaret Smedegaard, who along with three other wives of Sherlockians founded the Criterion Bar in 1972. "The Baker Street Irregulars started admitting women about 10 years ago, and that helped. There is a recognition that women are just as capable in the Sherlockian world." Just as capable . . . of drinking beer? "As intellectual, as knowledgeable," she said. "Many of them have written articles." After dinner, announcements and a quiz, during which members show an alarming command of the minutia of the story "The Six Napoleons," Tom Evans rises for the evening's entertainment, a talk on "The Real Dr. Watson." "There will be no need to take notes in order to pass the test," jokes Evans, reassuring us he will hand out copies of his speech afterward, which he does. "I was going to begin by saying the several influences bearing on preparation of these remarks amounted to a 'synergy of serendipity,' but my Webster's unabridged dictionary tells me that isn't quite right, so I will call it instead a 'confluence of coincidences'..." begins Evans, explaining that his talk came out of a request that he toast "this most familiar inhabitant of our Sherlockian world." They do recognize the fictional aspect of the tales, if grudgingly. "Whether Inspector John H. Watson M.D. is or is not real can be a matter of conjecture," says Evans, whose talk addresses three questions: "Just who was he, what was he really like and, for those eccentrics among you who might hold to the bizarre notion that both Holmes and Watson were fictional characters, what real person might have inspired his creation." Twenty-nine minutes later, his talk concludes. Young people, for reasons mysterious, are not racing to join Sherlockian groups, and the membership ages. "We've lost a number of great people over the years," says Evans. "I don't know how much of a future any of us have." "Here dwell together still two men of note/Who never lived and so can never die," Sawisch begins. "How very near they seem yet how remote/That age before the world went all awry." And it is always 1895." Objectivity will always look like criticism to a fanatic. That's very good. I shall save it. Thanks, I'm honored, Tom. I had lunch with a wise man on Tuesday. I suspect he's contagious. It's rooted in an email conversation I had with my lunch companion a while back. We talked about how "spot-on observations" are not necessarily criticism. "The Lyric complained, quite forcefully..."
"she obviously didn't quite believe me until she saw it in print, which was a shame." I thought that column was interesting, but "Goerke bristled only once in our conversation, when I suggested that her character evokes the adage, 'The opera ain't over until the fat lady sings.'" sounded pretty harsh to me. I was surprised you'd actually say that to her, and I wondered what she and others in the opera world must have thought about it. How a dozen men assembled in a room at the Mirabell could consider this pleasant, tongue-in-cheek, though far from laudatory piece -- a column in a major American newspaper highlighting their fellowship for the hoi polloi, from the city's premier ink-stained (it's always 1895, remember) wordsmith, anything other than manna from heaven is beyond me. Unless I'm sadly mistaken, Holmes -- or Doyle, at the very least -- had a sense of humor. I wonder what the Holmes addicts would think of the PBS/BBC series of "Sherlock", where Irene Adler is Moriarty? They mostly don't like it, but Doyle probably wouldn't have cared. The American actor William Gillette, who made a career out of performing his 1899 play about Holmes, asked for permission to change some aspect of the character, Doyle said he could marry him off for all he cared. Doyle wasn't particularly proud of the stories, but the income they provided allowed him to devote time to what he regarded as serious literary work, including novels that now go mostly unread. I’ve only had my blog for a few months and I’ve already alienated a few readers. I thought it would be great to write whatever I want, but now I try not to offend. I avoid politics and mostly write about history and feature photos. LB, I've never written a blog, and admire those who do, but I hope you don't change your content too much to suit your readers and risk losing what you wanted to express. In any event, best of luck to you. I think it was the "29 minutes" that clearly signaled Neil's lack of enthusiasm for the Sherlock fan club. And to say that 1895 was a "simpler, less complicated time" is trite and wrong. Only fictional 1895 is simple and uncomplicated. That said, I'm glad that Mr. Evan survived the debacle and joins us here almost daily with his cogent and erudite comments, often complementing as well as complimenting Neil's efforts. I know next to nothing about Sherlock Holmes and care less, but as far as 1895 goes, I'm with tate. That era featured the dying embers of the Gilded Age, the roiling of Europe that would culminate in World War I, income inequality that makes today's look positively benign, labor upheaval, and subjugation of women and minorities accepted as a matter of course. Yes, the presentation was too long and must have been a terrible bore to one not read in to the mysteries. 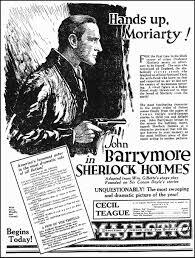 Modern Sherlockians don't really aspire to dwell in 1875, but fascination with the evocation of that era created by Doyle is a harmless hobby and one that has attracted some impressive figures, people like Dorothy Sayers, Winston Churchill, T.S. Eliot and FDR. For anyone interested, Sherlockian societies are welcoming and can be tracked down on the internet. Hugo's Companions has moved to the suburbs and meets in a restaurant in Glenview. That it is for men only has been a matter of controversy, but it were otherwise one would have to change the name. To me, Neil's column here actually does fit the old "any publicity is good publicity" notion. (Which I don't actually agree with, in general.) As a one-time public relations guy, I'm sure you have you own opinion about that, Mr. Evans. While this was not a glowing appreciation of the proceedings, it was far from mean, it seems to me. If one cares nothing for Holmes, they may think, "Boy, what a waste of time." But they'd not be joining any of these societies, regardless. Obviously, it's a harmless hobby and is no more (and much less, really) a waste of time than watching football games all day Sunday. And if one were a Sherlock fan and read this piece, one would at least have been made aware that such societies -- Hugo's Companions, in particular -- are out there. I sorta wish this had been 2 separate posts -- one to discuss this particular column, one regarding Neil's interesting prologue about balancing competing interests as a columnist. I'm not even sure what I think about his ranking of the 4, but I'm rather intrigued by the question. I'd be interested in further columns on the writing process in general, and about the give-and-take with editors. W/r/t the opera piece, I surely get that fitness is a way to get readers interested, and I thought overall the column was informative and showed respect. But that said, i found the reference to the "opera ain't over 'til the fat lady sings" bit off-putting, and was stumped by the description of Ms. Goerke as "generously proportioned" -- which seemed not only unnecessary, but contradicted by the photos. I wonder whether an editor gets to say "Is this necessary?" to content, or is it strictly grammar and word count w/r/t columnists? Writing is a huge part of my living (not that anybody would be able to tell from my rambling, error-filled blog comments), and I certainly know that one can't please everybody... but I also know that outside readers can save me -- and have saved me -- from making mistakes, being offensive, taking people away from the overall argument, being confusing, etc. I'd be interested in how this works at newspapers in 2017, both from news reporting and from columns/op-eds. A few months back, when the NY Times (and others) were reducing editorial staff, I saw a bunch of pieces by folks at places like Slate, Gawker Media, Sportsjournalists.com, and so forth talking about how editors saved their butts time and again in their early reporting days and made them better reporters and writers. I would love to read a snapshot of how it works today. The problem with explaining how it's done today is that journalists shy away from the light of attention just like everybody else, maybe more so, and I wouldn't want to be seen as criticizing the place I work. Let's just say that the Sun-Times is a lean, efficient organization without time or inclination for a lot of deliberation. I make a point of trying to tell someone what I plan to do, and someone edits the piece for sense and grammar and spelling and factuality and such. But we don't have long meetings parsing what we plan to do, or what we've done. It's like fire fighters -- we show up, get water on the thing, and let our training and experience kick in. I apologize if this is belaboring the point, Neil, but I was hoping you'd offer an opinion based on my first comment about the opera column yesterday, which you understandably didn't, and even in your response to Bill you didn't address that specific column. Lyric complained quite forcefully, evidently the singer was not pleased, and among the EGD crowd, only Bill and I have commented here about the column, finding the "fat lady sings" reference "off-putting" and "harsh," respectively. Agree, Jakash. IMO I think putting readers first is a great compliment from any writer. It has to be weighed, of course, against reaction from publication and especially subject, but is the most honest way to go. Of course, the ramifications of hurt feelings, etc. will come with that choice. Yes, Neil's exegesis on the subject of who he is writing for was somewhat overlooked, but a worthy topic. Putting it another way, if you are writing on behalf of the guy who's paying you its advertising (or propaganda if your paymaster is a government official.) If it's for your own satisfaction I guess that defines most of us, bringing to mind Dr. Johnson's observation that none but a blockhead would write except to be paid for it. Neil obviously writes tor his readers, whoever they may be, and generally succeeds in meeting a test imposed by Virginia Wolfe:: "The writer must get in touch with his reader by putting before him something he recognizes, which therefore stimulates his imagination and makes him cooperate in the far more difficult business of intimacy." I did really like the poem by Marge Percy, which was unknown to me. It's interesting that people involved in a fictional fantasy always object to outside opinions and critique, yet still crave that attention and approbation.